In July 2018, Northwest Pipe Company acquired Ameron Water Transmission Group, reinforcing its position as the United States’ largest manufacturer of water transmission steel pressure pipe. 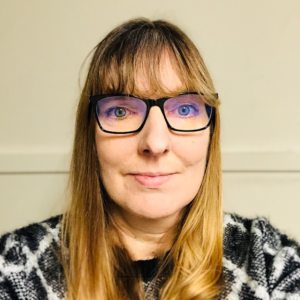 Erin Cornwell is an engineer who worked in a number of different departments at Ameron Water Transmission Group and now works for Northwest Pipe. 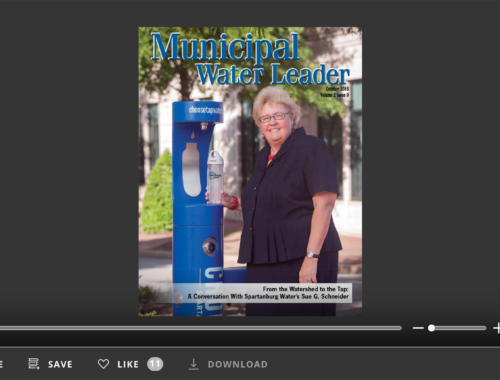 In this interview with Municipal Water Leader Managing Editor Joshua Dill, Ms. Cornwell discusses her work, developments in the steel pipe industry, and her experiences during the recent acquisition. Joshua Dill: Please tell us about your background and your current position. Erin Cornwell: I graduated from California State Polytechnic University, Pomona, with a bachelor of science in civil engineering. Upon graduating, the country was in a slight recession, so there were relatively few jobs available. I answered a job listing in the local newspaper and was hired by Ameron as a layout engineer. I evaluated contract plans and documents in order to develop engineering designs that were used as shop drawings for manufacturing. I was promoted to the Estimating Department, where I used the contract drawings and specifications for prospective jobs to calculate their costs and identify production-related issues prior to bid. The majority of our work is done through the public bid process, so the estimates are used to determine how to price our proposals. My next step brought me into the Project Management Department, where my primary duty was ensuring that contract requirements and customer expectations were met. Essentially, I was responsible for the coordination of shop drawings, submittals, deliveries, and invoices; I was also the single point of contact for our customers for any issue that might arise. Next, I was promoted to director of project administration, overseeing both the Estimating and the Project Management Departments. Around that time, Northwest Pipe acquired Ameron. 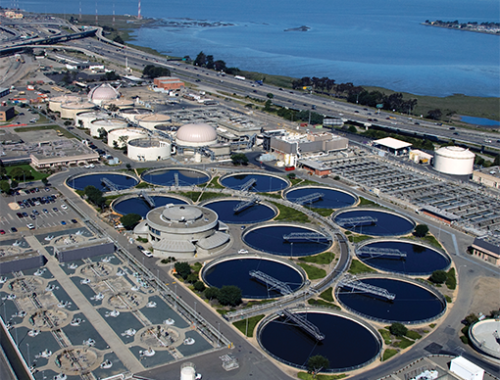 Northwest Pipe put me in the position of engineering manager for the Tracy, California, plant. As engineering manager, I continue to manage projects with our customers and I oversee the Engineering Department. Joshua Dill: How big is the facility in Tracy? How many people work there? Erin Cornwell: The Tracy plant spans 85 acres and currently employs about 100 people. Joshua Dill: How big is the department you direct? Erin Cornwell: I currently oversee five people at the Tracy office. Joshua Dill: Would you tell us about the projects you are currently working on? Erin Cornwell: We’re finishing one project near Provo, Utah, which includes about 15,000 linear feet of 48- and 42-inch cement mortar–lined and tape-coated welded steel pipe. 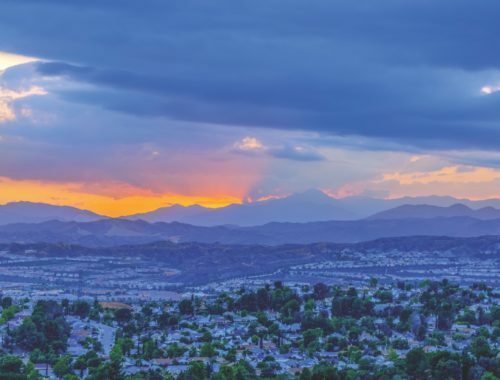 A similar project for the City of San Diego, California, comprising nearly 8,000 linear feet of pipe, will start delivering at the end of January. 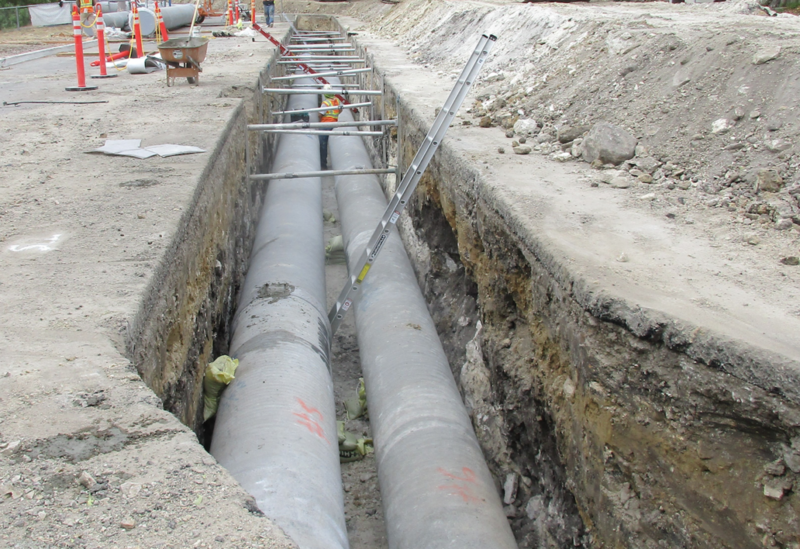 I’m also working on a project for the City of Turlock, California, which includes 37,000 linear feet of 42-inch cement mortar–lined and coated welded steel pipe. The customer started installing it in December. Most of our current jobs consist of cement mortar–lined and coated steel pipe. 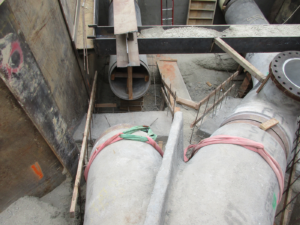 However, we have an upcoming project to supply 48-inch reinforced-concrete pipe, and we recently finished a 120-inch reinforced-concrete pipe project for the Contra Costa Water District that spanned 5,500 feet. Joshua Dill: How does your company identify these projects? Erin Cornwell: Our projects are predominantly public bids advertised by water agencies or cities. They will issue a bid request for a specific project; contractors will then take a look at it and see what they need to build it out. Those contractors are our customers. We work with their specifications to determine the bid price for the pipe on the project. Joshua Dill: When it comes to bids like that, what does Northwest Pipe bring to the table that other companies might not? Erin Cornwell: From my perspective, Northwest Pipe’s two greatest advantages are its experienced staff and its nationwide manufacturing infrastructure, which is unparalleled in the industry. The breadth of experience at Northwest Pipe never ceases to amaze me. To use a sports metaphor, we simply have the deepest bench that’s ever been assembled in the pipe business. And with plants located nationwide, we can save our customers money on transportation while providing the best service available. Joshua Dill: Would you tell us about current trends in the water pipe industry? How are new technologies changing how pipe is constructed? Erin Cornwell: For the most part, new technology has not affected the fabrication of pipe directly. In some cases, the equipment used to make the pipe itself dates back to the 1950s. Our most popular lining and coating is cement mortar, which has been commonplace for over 100 years. However, some new paint and polyurethane products are being embraced by agencies, and we have updated our equipment and processes to accommodate these changes. Joshua Dill: What was your experience during the acquisition by Northwest Pipe, and what new capabilities and advantages has it brought? Erin Cornwell: Naturally, I was apprehensive, because we were being acquired by our primary competitor. Initially, it felt a bit like a defeat. Several years earlier, Ameron had been bought by National Oilwell Varco, a massive oilfield services and equipment multinational, and the transition was awkward because the oil and water businesses have such different languages and cultures. That experience was still fresh in my mind as news of the Northwest pipe sale broke. Thankfully, as soon as I met with Northwest Pipe, I found that my initial misgivings were unwarranted. Northwest Pipe was enthusiastic about the acquisition and was anxious to welcome us into the fold. Northwest Pipe has also hired some former Ameron employees over the years, and seeing those folks doing well with Northwest Pipe and the company’s welcoming us with open arms worked wonders for morale. It’s been like a family reunion. Ameron isn’t the name on the door anymore, but the people and the purpose remain, and we’re all working to make something bigger and better than either company was by itself. Joshua Dill: Does that mean that you’re working on projects that are larger than the ones you were working on before? 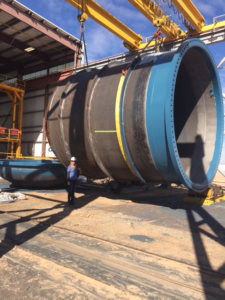 Erin Cornwell: Northwest Pipe’s resources and nationwide reach give us not only the flexibility to work on larger projects but the ability to work on more projects overall than Ameron could handle on its own. If one plant has a scheduling conflict, we can substitute another plant or help the plant out with its deadlines. If we are having difficulty with a particular problem, undoubtedly someone within Northwest Pipe has the expertise to help. Erin Cornwell: I don’t think I’ve suffered because I’m a woman, but I think I’ve had to prove myself more than a man would have. When I was originally interviewed after answering that local newspaper ad, one of the senior managers said, “Well, we hired a woman once before and that ended up okay.” I was taken aback and didn’t know how to respond to that, but in the end, that manager became one of my biggest supporters. He encouraged me to get both my professional engineer and my master of business administration degrees. 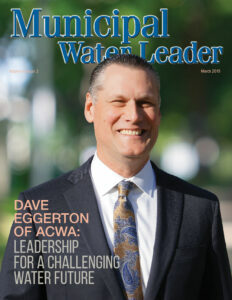 I’ve also been gratified to see more women represented in the ranks of management industrywide as well as at professional conferences like those of the American Society of Civil Engineers’ Pipelines Division. Growing up as a girl interested in science and math, I wasn’t always encouraged by my teachers, but I think that situation has improved considerably. Last year, I had the opportunity to go into high school classrooms to talk about my education and career as well as my role as a female professional in the workforce. It was exciting to see so many girls interested in engineering fields. Young women account for nearly 60 percent of all college graduates now and are leading men at every level of degree, from associate’s degrees right up through doctorates. Erin Cornwell: On a small scale, my vision for the immediate future is for my plant to seamlessly integrate into the Northwest Pipe family and become one of its most valued assets. I think we’re moving in the right direction, and we’re picking up speed. Looking further into the future and thinking on a larger scale, I’d like to promote infrastructure investment in order to ensure that everyone has access to clean, drinkable water. It breaks my heart that anyone in this country should have to worry that their water is poisoning their children. I’m proud to work in an industry that brings life-sustaining clean water to people, but providing it isn’t free. Critical infrastructure investments have been declining steadily for over 40 years, and we’re starting to see the disastrous results of that neglect. The technology necessary to make life-changing improvements is at our fingertips, but we need the societal will to spend what it costs. Erin Cornwell is the engineering manager at Northwest Pipe’s Tracy, California, facility. She can be contacted at ecornwell@nwpipe.com.